Last minute cancellation due to unforeseen emergency! 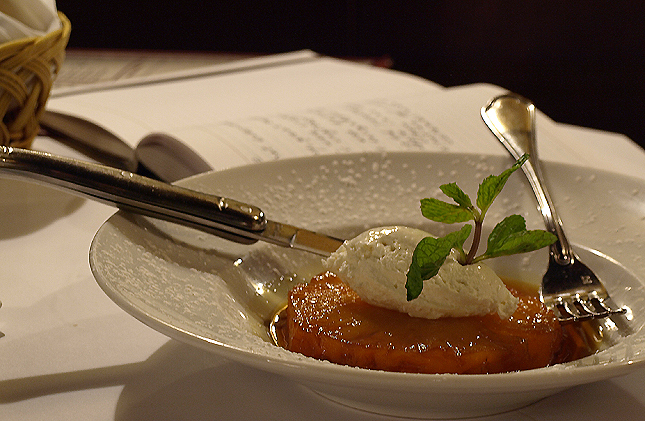 Italian cuisine has earned a very well deserved place in the pantheon of superior cookery from around the world. Within that cuisine, it is the Cucina Ebraica, the Jewish Italian cuisine, which is considered its crown jewel. 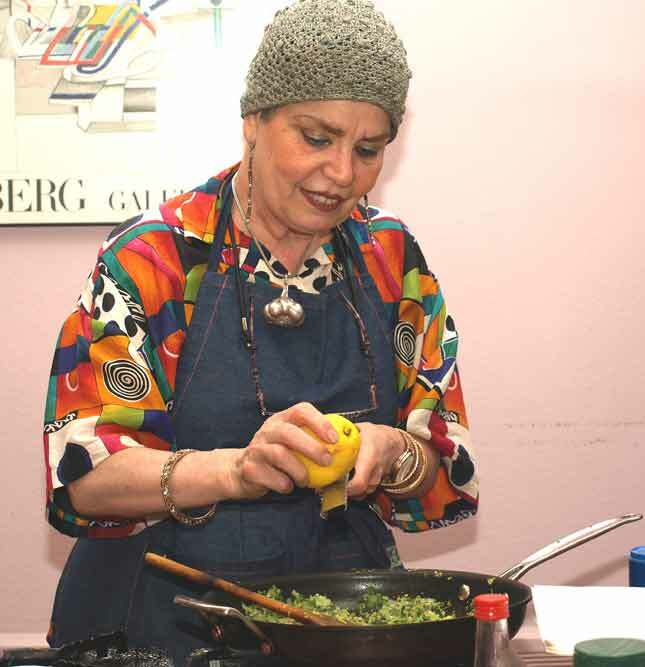 Our guest on The Kosher Scene Radio Show, this evening, will be Venetian born and bred Alessandra Rovati from Dinner In Venice.com website and blog. We will discuss the history of the Jews in Italy, a history that goes back almost 2200 years, the history of Jews in Venice specifically and, of course, the famed Jewish Italian cuisine. Venice is where the first Jewish Ghetto came to be in 1500. The earliest known mention of Jews in Venice is around 1090. The census in 1152 showed 1300 of our coreligionists, mostly merchants, originally from Germany and the Levant. Throughout its history, Venice has been the venue for some of the most picturesque chapters in our people’s history, featuring both famous and infamous Jewish personalities. Please tune us in this evening on the internet’s blogtalkradio.com, at 8:00 pm (Eastern Time), for what promises to be a very interesting, and informative show. If you missed our show last week with Ezzy Duchman from Jewpon, you can hear it here. The guest was interesting, the subject will save you money! 7:25 pm (Eastern Time) Ms. Rovati had a small electrical fire in her house and had to cancel this evening’s appearance. It may not have been a theatre stage, but it was riveting nevertheless. Feet suddenly acquired a mind of their own, they wouldn’t stop dancing to the live sounds of Lipa singing sets from his latest CD, 24/6 Lipa. Lipa chose Pomegranate Supermarket to launch this CD at a free concert. Why? Because this was the best place to reach the Brooklyn oilom on short notice. The supermarket’s clientele flocks to it because it is interested in its unique offerings and that is precisely the demographics that Lipa wants to reach. It was hard not to feel the emotions, it was hard not to sing along, it was hard no to dance, it was hard not to follow the crowd. The audience was electrified and, as if obeying a higher command, really got into the spirit of the music. With the exception of three techno sets, Lipa sang the rest of the songs on this new CD. Like most of the audience I too was captivated and got into the frenzy. 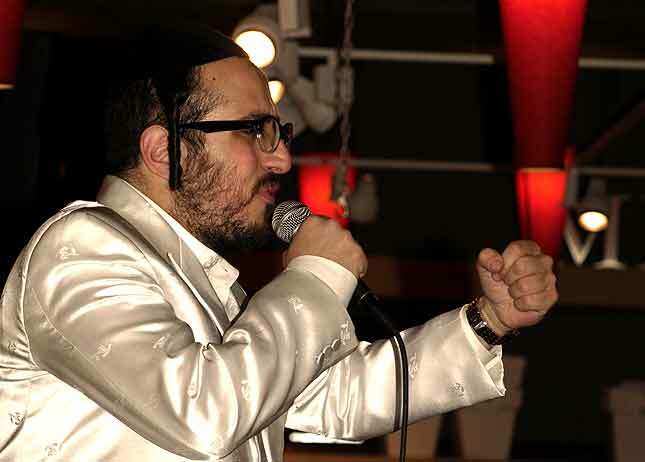 If you are among the counted few who do not know Lipa, suffice it to say that he’s produced 10 very successful CDs, so far; he’s been in thousands of shows, he’s worked with the greatest entertainment legends in the world of Jewish music and he’s traveled around the globe being mesame’ach countless Jewish hearts. I actually got to talk to him after the show and found him unassuming, humble and grateful to his audience. He hasn’t allowed his fame to go his head, that is precisely the main reason (besides his tremendous showmanship!) that makes him so popular. Saddle-up for Some Fine Fixins’ at Smokey Joe’s! You don’t have to be a Texas long-horn to enjoy this round-up of superbly smoked and southern rustic Tex Mex cuisine at Smokey Joe’s (494 Cedar Lane; Teaneck, NJ. 07666; Telephone: 201.836.7427). Décor is sun-burnt orange against ranch-rawhide woodsy panels; Marlboro manly man and stallion photos adorning the walls. Brown butcher block paper covers tables set with colorful southwestern china (don’t forget to ask Joe for doodling crayons). Joe, the owner, looked for a unique niche in the market and not only found one, but honed it like an art form till it yielded a product that fills the house on a regular basis. Joe, or Yossi to his chevra, told us “Food is life; food is kodesh.” “It’s about craft and high quality. You’ve got to give it the time and attention it takes to develop.” And indeed Joe has done so. His 74” smoker (which he lovingly dubbed Dimona-2) is the nucleus of his operation, but just as important is his approach to food and business. “You’re not producing a widget or stereo; my personal commitment to making great food is a life-time journey!” “It’s also about having a good sense of hospitality when Jews come calling at your restaurant. It’s a little different than the hachnassas orchim (welcoming guests) we do at home.” Joe certainly shared that hospitality with us. Joe served up vittles Stephen J. Austin or Sam Houston would raise armies to fight for! The table started to fill up with outstanding home made cornbread with onion jam spread (you got to taste ‘em together to understand how awesome those flavors are together), refreshing iced tea and fresh squeezed lemon-ade and home made. Still warm tortilla chip (seriously, dangerously, addictive!) with freshly made guacamole for starters. We were then treated to an assortment of Smokey Joe’s favorites. The Joe Dawg, the lamb merguez sausages, were marvelous; superbly smoked and flavored. We then demolished their Beef Brisket (well… really… CS did, he kindly let me have one forkful before it was gone!) – smoked for up to 14 hours. The smoked taste did not overpower the brisket taste which was rich, marvelous. In a very uncharacteristic (well you saw the pictures of those ribs, how can you blame me?) uninhibited Flinstonian way, I dug into their long ribs which had been basted in a secret BBQ rub and smoked for around 5 hours in Dimona-2. (Surely, not first date action, unless you want to provide an instant inhibitions dissolver, right from the get-go) They were meaty, packed with flavor and delicious. I literally felt the spices coming through my pores. Quite unexpectedly, my favorite smoked entrée was the chicken. Brisket, Grilled Chicken and Sweet Potato... mmm, mmm! I just loved the way the subtle smokey flavor worked its way into the soft flesh of the chicken resulting in a fabulous taste. We had no room for their burgers and chocolate mole sauce, which we heard are outstanding. We’ll have to come back and try those as well as some of their other popular dishes. A great homey place to come with family and friends to chill an’ enjoy southern smokin’ Jewish hospitality. 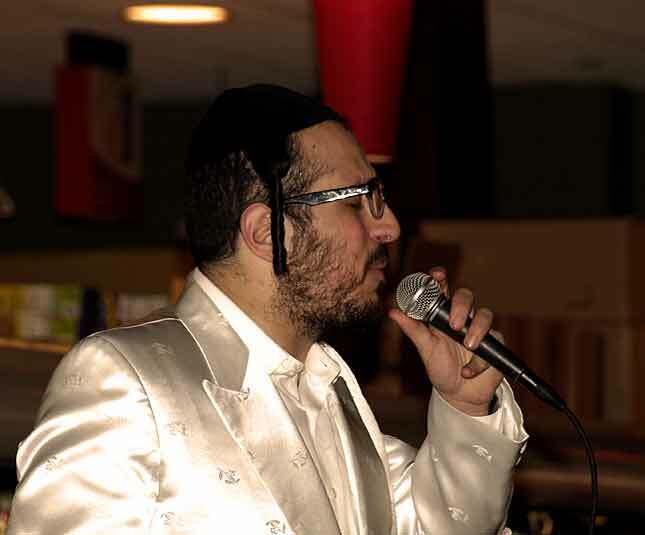 Efraim Azari, owner of Royal Persian Grill (192 West Englewood Avenue; Teaneck, NJ 07666; Telephone: 201-833-1555) has an inspiring personal story which explains his evolution into the kosher restaurant business. Originally from Teheran, Efraim emigrated to Israel with his family, when he was just a child of 4. He grew up in a Tel Hashomer kibbutz. as left wing as it gets. Raised on ideology which stipulates that religious people were untrustworthy, superstitious and downright foolish, he focused his energies on an enlightened worldly consciousness, athletic healthy body, excelling in karate and other martial arts. Thirteen years ago, Efraim emigrated to Miami, with his wife and youngest son, where he built a large successful business. One day, his son informed his parents of his decision to become a ba’al tshuvah. Efraim and his wife were devastated, wondering where they had failed their child; no amount of dissuasion sufficed, he couldn’t be talked out of this folly! Shortly thereafter, another stroke of bad luck befell the Azaris; Efraim severely injured his right shoulder blade. The tear required complicated surgery, the pain was unbearable, and the operation failed. A wounded, tired, exasperated Efraim traveled the world in search of a top surgeon that specialized in his injury… He found one, and scheduled a second operation, with the hoped that this time it would be successful. His nights were sleepless, excruciatingly painful, filled with channel surfing, Arak and other potables to numb the unceasing pain. “I hear you tore your shoulder blade,” the Rabbi said. “Yes,” Efraim answered. “And your first operation was a disaster.” “Yes,” Efraim answered. “And you’ve already scheduled a second operation.” “Yes,” Efraim answered. “I have the perfect doctor for you!” said the Rabbi. “With all due respect to the Rabbi I already have a top doctor,” Efraim answered. “You don’t understand, I can recommend THE top doctor to you.” “Please Rabbi, I already scheduled my operation!” “You don’t understand, I can recommend the best specialist for you,” repeated the Rosh Kollel. Again, at the urging of his wife, Efraim acquiesced and let the Rabbi continue. “Give me two hours a day of deep study, learn and thoroughly follow this book – which I’ll give you – on the Laws of Shabbat. Follow it thoroughly, do not pick and choose what’s convenient, or sensible, just follow it thoroughly or don’t waste your time warming a chair here. If you follow everything, the Doctor will cure you.” Reluctantly and again at his wife’s urging, Efraim committed himself to this. That very night, for the first time in almost a year, Efraim slept right, soundly; no pain, no needles, no shocks! Refreshed, the next morning, he showed up at the Yeshiva, fascinated with the new teachings – revealing a heretofore unknown, undreamed of, world and a new purpose in life. Again that night he slept well, the pain had inexplicably eased up. After a week of refreshing sleep and productive learning, Efraim began to achieve some mobility in his injured arm and shoulder; soon all pain disappeared, full mobility and the use of his arm and shoulder returned. All without surgery… Believe it or not! The Doctor had done his job!!! “I’m a stubborn man,” Efraim says, “I don’t like change, but who can argue with obvious miracles when I experienced the healing in my own flesh?” I truly understood the meaning of Ani Hashem rofecha! – I am the Lord, your Doctor!” And so, the enlightened athlete who stumbled upon the courtyard of the Royal Palace in Monsey, stayed and learned. Four years ago, still dedicating several hours a day to his learning, he opened the Royal Persian Grill. What makes the Persian cuisine different from Middle Eastern cooking? At the Royal Persian Grill they use a twenty five herb combo mix, a lot of parsley, cilantro, mind lemon and garlic, not hot spicy like some Israeli dishes, rather more sweet and sour. Rice accompanies many of the selections and is cooked differently than the usual western way. It’s cooked half way, then it gets washed in cold water, finally, it’s steamed. Thus, the kernels stay separated and retain their shape gleam and taste. 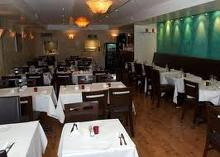 We sampled one of their very popular Persian dishes. Ghorme Sabzi– a thick beef stew- a Persian cholent – if you will – with rice, red beans and meat. It was earthy and filling. The second Persian favorite was Beef Bamya, a sweet and sour beef stew with okra. It wasn’t ready when we were there and we hope to sample it next time. We started the meal with their Appetizer Salad Combo. Appetizer Salad Combo with matbucha, hummus, Romanian eggplant, babaganoush and pikanti eggplant. We enjoyed this dish with toasted pita covered with oil and zaatar (hyssop). All the salads, like the rest of the of the fare, are freshly made at the restaurant. This salad combo plate tasted very good! Cooked just right, it was tender and juicy, as we sipped a refreshing iced lemon/mint tea. …and an excellent Baklavah. Yehudis, our waitress, made our meal an absolute delight with her friendly solicitousness. We know we’ll be back! Comfortable, relaxed, upscale, delicious… Those words barely describe this brand new eatery in Midtown Manhattan. 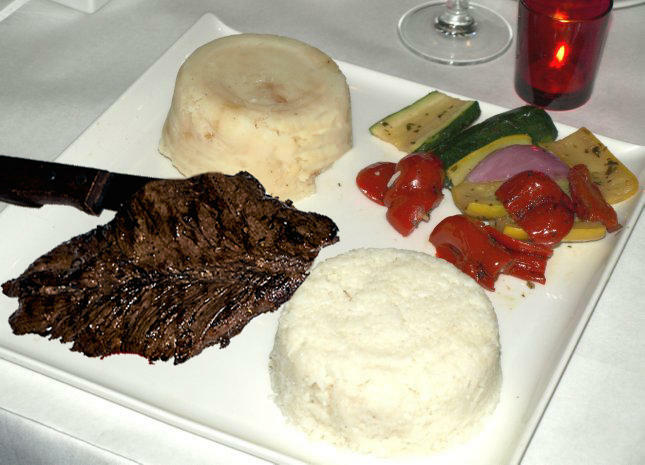 Tiberias (45 East 34th Street; NY, NY 10016; Tel: 212.481.4222). is under OK supervision, its fare is cholov Yisroel dairy. SYR and I went there yesterday at mid afternoon, less than a week after it opened. It may be brand new but, the two Steinhart brothers have been working in and managing restaurants for the last five years, in spite of their very young ages. This is the realization of their dream, a dream of having a unique restaurant with something different than the standard offerings. If this is how they started, it will not just be a dream! SYR started the meal with the Stuffed Mushrooms, stuffed with fresh vegetables topped with mozzarella and doused in cream sauce. 5 button mushrooms, stuffed with vegetables, topped with mozarella, doused in cream sauce. She found it very flavorful, each ingredient combined for a delicious, perfect, appetizer. I had the Gravalax. Homemade smoked salmon with potato crustini and cucumber salad with dill and mustard, subtly flavored and very good to the palate. We then shared the Special of the Day, Pasta del Sol. It consisted of penne with cream sauce and cherry tomato culis, topped with a nicely sized grilled Atlantic salmon. We ended the meal with their Jack Daniels Cheese Cake, this is a Mozart type cheese cake with 2% percent of Jack Daniels whiskey. It tasted superb and looked great, served with three ice cream scoops, some whipped cream and fresh strawberries. SYR had a Torino Hot Chocolate, gourmet hot chocolate with a partially submerged milk chocolate bar… buonissimo, ottimo!!! I had their Cappuccino, an espresso with steamed milk topped with foam, made from Italy’s famed Danesi Gold Beans…. subtly sweet with a pinch of brown sugar, artistically presented.